Dad, Was a complex man. He was a Clemson Matriculate. He didn't graduate because he had to come home to help his father run his business. Dad was most proud of me when I was graduated from Clemson. He passed away 12/26/2018. He didn't get to see the beat downs we laid to Notre Dame and Alabama. I do know he would have been thrilled and in fact making plans to watch the game. He suffered a major stroke on 12/23/2018. I hesitated to post this, because I am not posting for the TU's or points added to my Screenname. However, I decided to post this after I found his Student ID card and wanted to share in a way to memorialize him and his passion for Clemson. GO TIGERS! I am thankful for Dad, because of him I grew up in Columbia and escaped as a Clemson Man. during the game. He died 4 years ago and missed the first Bama win as well. I wish he could have enjoyed the past 4 seasons. TU. SO grateful my Dad has been able to see '16 and '18. But it has been far from guaranteed, given his recent health concerns. I do not take my Dad for granted. If not the year before or after. I think he would have graduated in ‘66. Unfortunately my dad passed away in a tragic accident in 2003. He never got to see this era of Clemson football. I think of that and am saddened as he was diehard. He was iptay when he couldn’t afford iptay. When things got a little better we had season tix. But it’s on the shoulders of these Tigers that a generation of Tigers was raised. My dad, a 1951 Clemson grad passed in May 2011. I know he is looking down on us these days. He made me the man I am today. I had the Clemson Tiger carved in his memory over in Fair Play. I plan to get the plaque memorializing both my dad and the national Championships updated to include this one this year. Now that's impressive. Your dad must be smiling down on our Tigers and his son! My Dad was also Class of 51. We enjoy that carving every time we drive by on the way to Clemson. Great to know the back story, thanks for posting. Thanks. Feel free to stop at the gate and walk out there anytime you like. Sorry for your loss! A great way to remember your dad though! 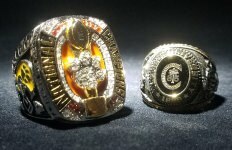 A true Clemson Man! I'm sure he was looking down with a big smile.....so sorry for your loss. I graduated in 81 from Clemson. Dad went to Iowa State. My Dad is still with us (90 YO) - but struggling with his memories. We do get to sit and watch the games when we can - hardly speak a word - but still enjoy our Tigers. Those of you younger (most of you these days - lol) - I have a suggestion. Spend time with your dad when you can - make time - he will be gone before you are ready. Tell him how much he means to you. Don't put it off until it's too late. Important advice. For those of us who have lost our parents it's hard to explain how much they are missed. Very sorry to hear about your loss. My dad never went to Clemson but pulls for them in every sport ever since I went there. I had multiple friends in Santa Clara who’s fathers also attended Clemson and hearing them call their dads ahead of the game or after we won was such a perfect reminder of how genuine the Clemson family is - within our own families and how it transcends to friends and other fellow graduates. Take care and may God Bless your family. Still having my dad around, I don't know firsthand what you all are currently experiencing but I know one day I will. 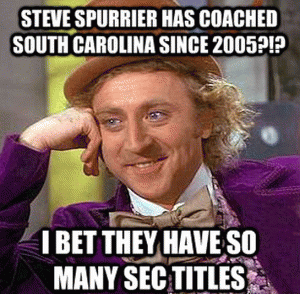 I am not trying to make light of all your father's being passed away especially since my uncle died last year right after the ACCCG (as big of a Clemson fan as a non-alum can be). I just wanted to point out that your father's didn't miss a single thing, they now have the best seat in the house. Once a Clemson fan, always a Clemson fan. I am praying for you and your family. I'm so sorry for your loss. I'll wager he did see these 2 fantastic wins and from the best view there is. He went to all home games and many away games for 50+ years until last year. He had to give up going. I called him from Levi stadium for the last minute of the game, same as I did in Tampa. You have inspired me to post about my dear wife. We pounded up 1-26 together for nearly 40 years. Her last live game was the VT ACC championship in 2011. Health issues and physical limitations prevented her from seeing another. Her last game watching on TV was the Oklahoma pounding in Orlando in 2014 and she died that spring 2015 just before the beginning of the insane streak we are on now. JoJo I know you are loving it up there. Bless you both. I'm positive she's enjoying these moments with you! I did have the pleasure of watching our first NC game with my dad and mom. They have both passed years ago, so they missed the last 2. What a wonderful photo with those student IDs. I bet you and your dad watched lots of Clemson games together. Bless you and your family. great shots of the ID cards. I think he was watching. He passed away 12/23/12, never getting to see the 4th and 16, the rise of Clemson Football. I know he’s looking down, smiling at where things are and tailgating with other Clemson dads gone too soon. Hang in there. It’s tough. Holidays are always bittersweet for me now. I surely can emphasize with you. My Dad passed 12/14/2008 and his quality of life wasn't there the last six months. My hope for you is peace and the comfort of so many good memories. That's what I lean on and cherish. Many of us, myself included, thought of our Fathers when watching both 2016 and 2018 CFP championship games. Mine died on 9/01/2001 and I joined IPTAY to honor him. He and friends certainly pulled for Clemson and we can thank Dads for making us fans. I sat in his IPTAY seats for many years. At least he god to see 2016. Thanks for posting .... I know your dad is smiling! way to honor your Dad's memory. Thanks for sharing with the Tiger community. All the best to you and your family. Prayers are with you all. Glad you shared your story and that you and your dad seem to have a really special relationship. God Bless you and your family. sitting in heaven with other Tiger fans pulling for the Tigers and fussing about the refs! Pryers and condolences for the loss of your dad. My dad passed a little before the 2016 Championship and like your dad, he would have loved seeing that. All the best to you and your family. My dad told me the only place he'd pay for me to go was Clemson! Now 63 years later he is still right! !Probably had more than 150 credits;never mind changing majors several times. Can't get to the games anymore; but don't miss watching them. Both sons, brother and 2 brothers-in-law have degrees. And now have a granddaughter who is a Senior. She has been able to go to all 15 games this year. Lost my dad in 1993 and my mom in 2008. Still miss him teasing me about going to lose to whoever we were playing. Praying for your family; God's Grace will see you through these difficult days! Sacrificed for his family. That’s a Clemson man for sure. Go Tigers! My prayers are for peace. So sorry he passed, a stroke is one thing to take any of us away in an instant. Wonderful pictures of you both. Sorry for your loss. Know your Dad would like your post! I started Clemson in 1962 - so feel a kinship with him! I miss my dad every time I see any Clemson event because he loved Clemson University. I know he and mom are enjoying watching the Tigers with their friends in heaven.